. يعمل Hotel Le Lagon على ضمان إقامة مريحة لضيوفه من خلال خدماته الممتازة وحسن ضيافته. يقدم العقار خدمة سيارات الأجرة, مكتب الاستقبال على مدار الساعة, مرافق مخصصة لذوي الاحتياجات الخاصة, تخزين الأمتعة, واي فاي في المناطق العامة لضمان الراحة القصوى لضيوفه. في Hotel Le Lagon غرف نوم يزيد عددها عن 62 صممت بذوق وعناية لتوفر لك كل وسائل الراحة . بعضها يحتوي أيضاً على تلفزيون بشاشة مسطحة, اتصال لاسلكي بالإنترنت, اتصال لاسلكي بشبكة الإنترنت (مجاني), غرف لغير المدخنين, مكيف هواء. يقدم الفندق مجموعة واسعة من وسائل الراحة المتنوعة، كمثل: كنو, حوض استحمام ساخن, مركز للياقة البدنية, حمام سباحة خارجي, سبا. إن كنت تتطلع إلى إقامة مريحة وهادئة في المدينة، فستجد في Hotel Le Lagon بيتك الثاني. جناح مع إطلالة جزئية على البحر. We stayed as a family of 3 in July 2018 before and after our longer stay 5 nights to the Isle of Pines. Small hotel, but expensive breakfast/meals so went out for that - local shops close and a few options to eat along the beach. There is a small selection of meals/snacks in the vending machine at reception which was ok if you have a starving teenager. The staff were lovely, but English not great /nor our French so we had a little bit of trouble with info. Before we arrived when emailing about airport transfers we received no reply so arranged a private car transfer instead and then they wanted to charge us for the bus transfer which we didn't take. Both times. If English was better r our French, we would not have had this problem, but nobody picked up telephone when we called from Aus. We only stayed here one night after came back from Ile des pines. Our room was one bedroom apartment, spacious and had a fantastic view. I wish we could stay there longer to enjoy the room and use facilities as well. Breakfast was very expensive during the Easter so we had our breakfast outside. Location is the best in town. A little supermarket close by, shops in Hilton, many restaurants near the hotel too. About 10min walk to Citron bay, more bars and restaurants there. Very good hotel, great location, friendly staff. Rooms are nice and good size, especially the suite-rooms on the 4th floor. with a great view. Breakfast is a bit pricey, but good value !! The weekend brunch buffet is great. Nice lobby to relax, beautiful aquarium and nice swimming-pool. One of the best deals in town, just minutes walk from the beach, restaurants and shopping. The staff are nice who speak English well. They are helpful and provide all sort of assistance like airport transportation, money exchange, and direction. The location is quite good which allows you to get access to most of travel agents for sightseeing booking. You can walk along the beach, lunch at the Quick fast food restaurant (contains an indoor playground for kids), and visit aquarium nearby. During my stay, I rented a car at Europe car rental (1 min drive from Le Lagon) and left the car at the hotel. The hotel staff would help you to return the car. Driving at Noumea is enjoyable, traffic is light. You can drive to the cultural centre, close to the domestic airport and downtown for museum visit. I highly recommend MaryD, which organises small train visit around Noumea and Phare Amedee. Must come again to visit Island of Pines next time! Right near everything, parking available on the street right outside. Clean, beds were comfy, they told us price for breakfast when we arrived late at night. No hassles finding our reservation. Not really a view but good value for money. Good location, clean and comfortable room. Pool and gym facilities excellent. Helpful and friendly staff. Only negative. Check the gym equipment regularly. I found loose bolts and weight pins inserted in the wrong place by someone who didn't know how to use the equipment properly. Small convenience store very close by, and the little rotating vending machine in the lobby is stocked with meals and snacks from the hotel kitchen. Lots of food options within 5 minutes walk. Also, bakery close by and Italian restaurant up the road. Staff are helpful and efficient. We also found the pool area pretty relaxing and the pool was super clean! 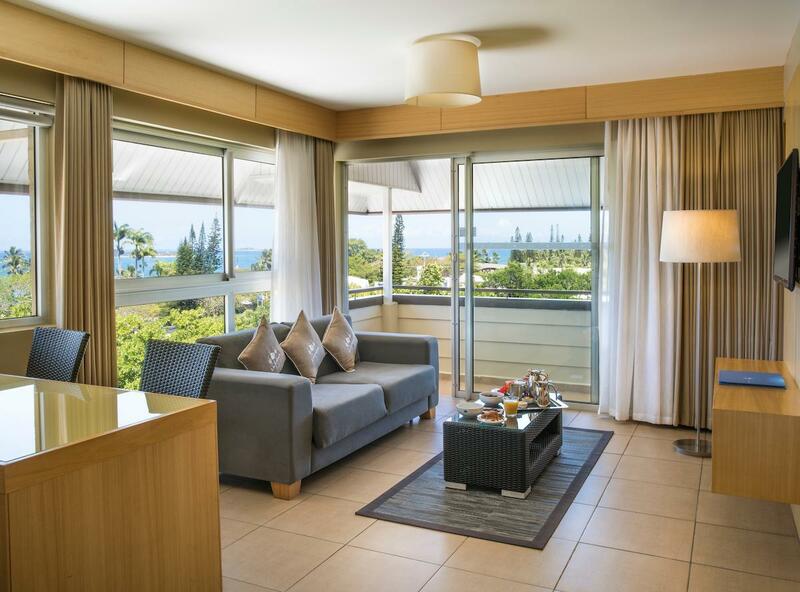 I recently took my 19 year old daughter to Noumea for a short holiday in New Caledonia and booked Le Lagon for the entire 5 day stay. I was very happy with the choice, excellent double room, very clean, helpful and courteous staff, very good facilities, i.e. swimming pool, spa etc and most importantly , its location. Only 2 mins walk to the beach and close to very good local supermarkets, restaurants and importantly a fantastic patisserie for breakfast. Noumea is a expensive holiday destination, Le Lagon was great value! 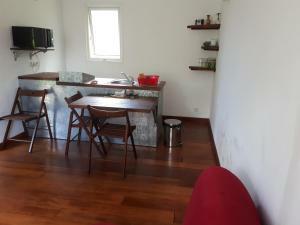 Great location in Anse Vata, bus stop really close and an AMAZING bakery just down the road. Close to the beach and shopping. The aquarium in the reception area is awesome and the staff were lovely and helpful! The suite was spacious and comfortable. The windows didn't do much to block out the road noise, and the bed base was quite a bit larger than the mattress, making for a shin-kicking hazard, though the bed itself was comfortable. The air con was effective. The pool was nice, as was the Jacuzzi. Free access to a small gym and a few exercise classes. The staff were friendly and helpful. The hotel is a couple of hundred metres back from the beach, so no sea view, but it wasn't far to walk. There is a nice bakery not far away, just up the street away from the beach. Staff were friendly and spoke some English (better than our faux French), plenty of good eating & drinking within a 5 minute walk that ranged from pizza bars to 5 star restaurants. Our room was clean & comfortable with good facilities, and the Wi-Fi (free) worked well on mu phone. There's also a couple of PC's in the lobby available for public use. 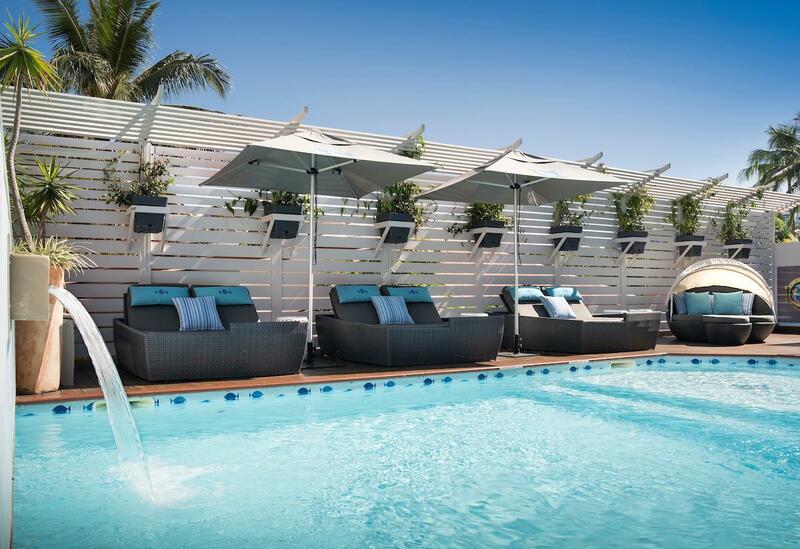 My wife and I were after a relaxing and chilled holiday, and Noumea and Hotel Le Lagon was perfect for this. Would highly recommend Noumea for couples looking for a getaway, and also to families as it is a very safe, kid-friendly and welcoming place. We booked this hotel because it had good reviews and also 24 hour reception. Our flight was arriving very late so we needed a hotel that had 24 reception. After booking the hotel, we wanted to let the hotel know that we are not checking in until midnight. We contacted the hotel via email but we didn't not get a reply. We then called the reception of the hotel but the person over the phone couldn't understand English. Luckily, we called back the next day and were able to talk to someone who could speak English. When we arrived at the hotel, it all made sense. The hotel is quite small and they usually have one receptionist. Staff were very friendly though. The room was very clean. However, one thing we didn't like was that the you can see the bathroom through blinds from the bedroom. This could be awkward for many people. The location of the hotel was great. There was a beautiful French restaurant right next to it. Had a lively relaxing time at Le Lagon. Staff very helpful and friendly. Great location close to shops, cages, restaurants and a beautiful beach. Highly recommended and would book again. Great having a kitchenette so could go to the supermarket and eat in sometimes. Thanks for a lovely holiday Le Lagon. We loved our stay. The hotel was a good base with supermarkets and bakeries close by. Plenty of restaurants and styles of food within walking distance. Beach one block away. Travel agencies nearby made it easy to book island trips. Cheap car hire just up the road. Location almost beachfront, close to the shops and restaurants. Great value for the price, and the multi-color light jacuzzi is my favourite! Room is a bit small but acceptable for the price. No dining place inside the room, you have to use the dining table at balcony. Remember to pick your room facing the courtyard, otherwise rooms facing the main street could be rather noisy. Nice service, very friendly and attentive staff. We would definitely stay here again, close to beach and restaurants. 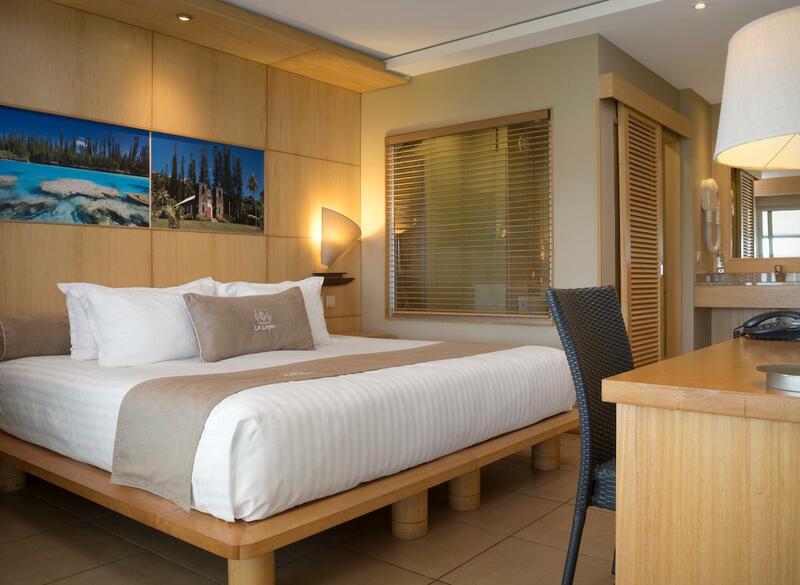 Rooms are a great size and have everything you need when travelling with a young family and the beds are so comfortable! We loved the location and had an apartment up on 4th floor with partial sea view but not overlooking the street so no road noise. Staff were friendly and always acknowleged you with a "Bonjour"
Stayed in one bedroom suite. Huge balcony overlooking the pool. Very clean and well appointed.